This is a well-written, seemingly well-researched and authenticated history of the region, people and cultures which combined to create the modern Hungary. This would be an excellent refernce for anyone planning travel to Hungary - whether for the first time or repeat vistis. 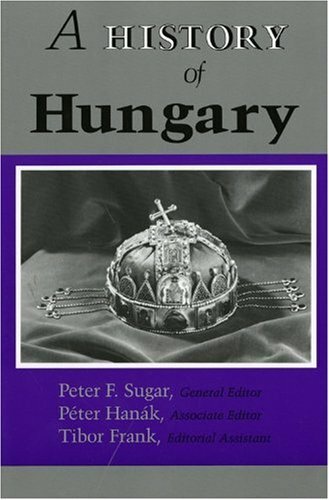 It provides excellent context for many of the features Hungary in general offers and should be beneficial to the reader in engaging with the Magyar people. This is a surprisingly fine book.It is lively and concise. It is efficient, covering all major episodes of Hungarian history from the beginnings to about 1995.It never lingers or goes into excessive detail. The author's opinions are balanced. The translation (from French to English) is really excellently done.There could be more illustrations, but those that are included are good. The rather dull cover leads one to expect a rather dull book, but in fact it is a very satisfying one and easy to digest. This is an outstanding history of a country and people that deserve to be better understood and appreciated. The Hungarians are not a Slavic, Germanic, or a Latin peoples; their language and heritage are alien to that of their neighbors. In many ways, both historically and culturally, Hungary has been at the crossroads of the events and movements that have shaped the history of Europe. Yet Hungary has also been a forceful shaper and mover itself, its modest current size belying the fact that it was once a potential superpower on the Danube. The history by Miklos Molnar is excellent in every respect and highly recommended. 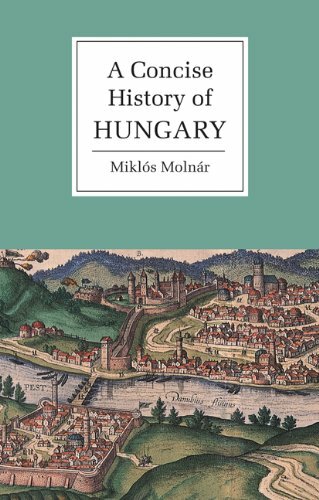 This volume provides an up-to-date and comprehensive survey of Hungarian history, from the pre-historic age to the present day. Kontler adeptly steers the reader through ancient times, the great migration of peoples, and the creation and troubles of a Christian monarchy that arose in the region wedged between the Germanic and Russian lands. The author also explores the factors involved in the centuries-long process which has put Hungary at a disadvantage in coping with the challenges of modernity, including the country's economic backwardness, the social structure, revolutions, wars of independence, and territorial losses. A brief epilogue looks at Hungary's present process of transition to democracy. I cannot think of a book on Hungarian History that is any better written than this book is.Excellent presentation, and is an easy read for such a throuroughly reserched topic.Excellent all around. 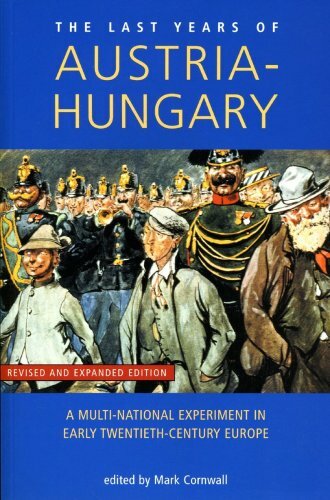 A must read for any student of Hungarian history, or even the ordinary reader who wishes to know more about Hungary, it's history, and it's people. This is a satisfying overview of Hungarian history. The only shortcoming is unbalanced attention paid to modern and premodern period. Half of the book covers more than a millenium long premodern period until ca. 1830, another half is given to 170 years since then. For this reason, the earlier history is sometimes dealt with superficially, while the newer history perhaps sometimes goes too deep. Nevertheless, the book is worth reading and treats the matter in an objective manner. This is one of the most dry books that I have read in a long time ---and do not underestimate my ability to put up with boring prose -- I can go against the best of them. Having said that I would not want to discourage people from reading this book. It is an academic history and tries to cut some new ground throughout. Of particular note in the introduction is the shifting nature of what really constitutes Hungary since its "essnece" unlike Britain, for example, seems to change over time and be both geographical and historically dependent. From fierce Magyar horsemen, to guardians of the cross against the muslim infidel to the Austro-Hungarian Empire and the present day Hungary divorced from its "traditional heartland of Transylvania,"Hungary had always had a shifting disposition. I did not the particular glossing over of the medieval period as I bought the book to learn more about this time. The author is really much better in his overview of more recent times and always keeps an cold analytical ear to the ground and informs you about the details of historical constants. Moving story of a 14 yr old girl who survived auschwitz. This unique collaboration of historians from Hungary, the United States, Canada, and Western Europe makes available to readers of English the best scholarship on the political, economic, social, and cultural development of Hungary from the prehistory of the Carpathian Basin and the origin of the Hungarian people through the transformation of communist Hungary into a multiparty republic in 1989. conceived as a comprehensive survey and reference work for students, teachers, and general readers, A History of Hungary is organized into chronological chapters, each written by the leading authority on that period. This book, written during the communist era, mostly by people in high positions in that regime and their American fellow travelers, reflects that perspective.It is multicultural and politically correct. Just one example of their sinister multicultural views.They talk about the six NATIONS that make up Hungary and complain about "Hungarian ambitions of hegemony," ignoring the history of how these minorities were allowed to settle in the country. 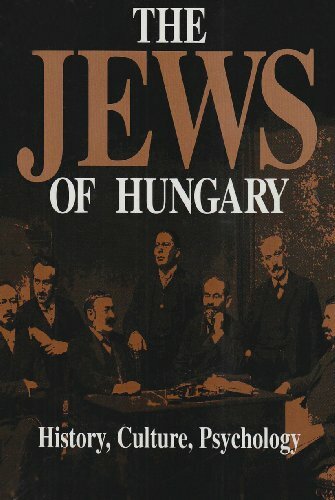 As a 1st generation Hungarian American, I wanted to learn more about my history.This book gave me an excellent in depth overview of the tumultuous history of this often overlooked nation. David Nicolle has given readers a brief (perhaps too brief) but interesting book on the centuries preceeding the Ottoman conquest of Eastern Europe.Included are the late Byzantines, the Hungarians, the Serbs, and what is now Rumania amongst others.Angus McBride provides some pretty good artwork plates to augment the work.Some points of interest include the Mongol invasion of Hungary and some of the fifteenth century warlors such as Janos Hunyadi, Vlad Dracula, and Stephen the Great.Overall, there is some interesting historical facts but the book could have been better if it would have been fleshed out more. A useful book with fine plates.As is often the case with men-at-arms titles, it does not have enough space to get extremely detailed, but within the confines of this series it is excellent. Lots of info, but how useful? This is one of the Men-at-Arms grabbag volumes.While there are wonderful illustrations and lots of facts crammed in here, one has to wonder just how accurate a book covering warfare in approximately 1/2 of Europe over a 570year period can be.In the end, use this book as a jumping off point, butnot the last word on Eastern Europe. The Angus McBride illustrations aremostly up to their standards of excellence, although he has left the lastpainting only partially done for some obscure reason and he DOES like tofocus on atypical arms and armour, which can be interesting, but alsopresents a rather skewwed vision of the armies of the period. Nicolletries valiantly with this volume.As I said above, there are a LOT offacts in here.There are two problems that press on the information.1)Militarily, this is a poorly chronicled era and the sheer number oflanguages makes the task all the more duanting and 2) the timeframe is justfar too broad for any serious considerations.Imagine lumping all of, say,American military developement from 1492 to the present (a similartimeframe) into a volume this size and you will get a notion of theenormity of the task. Hungary is a country with a long and rich history, but is sadly neglected when one looks at European history. 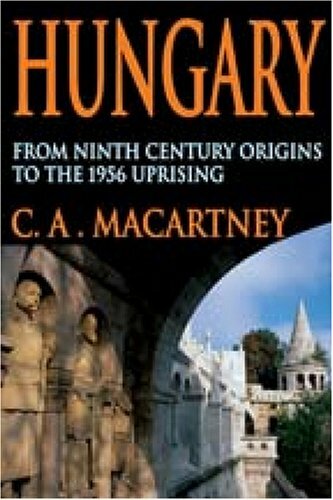 "Hungary: From Ninth Century Origins to the 1956 Uprising" traces the country's over millennium of history to until its fairly recent revolution in 1956. 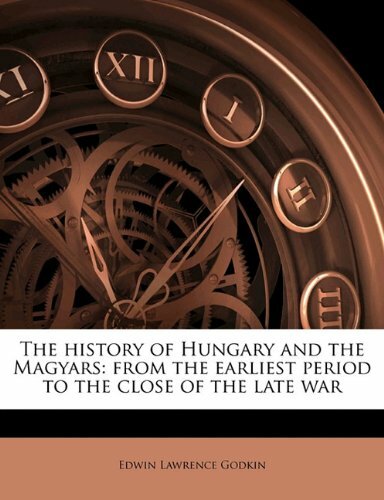 A work of skilled scholarship, Macartney tells the nation's history in a remarkably readable manner, giving readers something to enjoy as they learn and become intrigued with Hungarian history. Tackling the many quirks of Hungarian culture as well, "Hungary" is a must for any European history fan. 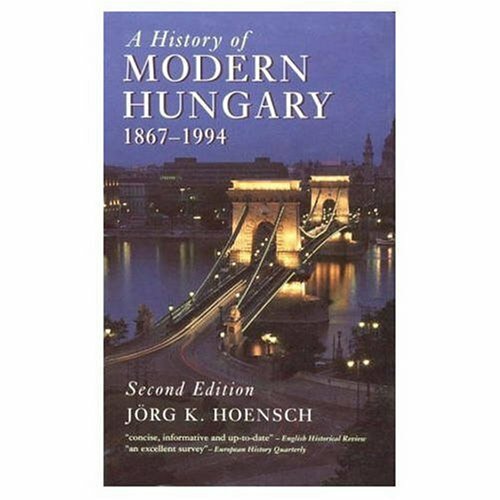 A History of Modern Hungary is an excellent primer of 20th century Hungarian history.Primarily discussing the political events from the Anschluss to the post-Communist era, readers get a good overview of the major events and players who shaped the country's history.The only criticism I have is its relative lack of attention to the social and economic changes Hungary has made over the last 130 years. Thorough treatment of a fairly arcane historical subject, this book shows it's age big time.This is your father's (or grandfather's) history- names, dates and little context to wash it all down with.Kahn skirts issues like anti-semitism that were to have a profound impact on the rest of Europe after the time of this book, and he doesn't even attempt to explain why the period of disintegration of the empire led to a corresponding rise in Austrian culture.Not worth the time it took to read. a bit too , highly detailed , for someone with prior knowledge of the subject , with lots reading time. will read some day when I have lots of time . I was a History major in college.Though fascinated by the subject matter, I kept thinking that this was a complex topic made more difficult than need be.It makes one pine for the likes of B.Tuchmann or W. Bruce Lincoln or L.S. Stavrianos. If I can find a more readable work, I will buy it........otherwise, back to the slog! I am a history major at Indiana State University.In my spring term, I used the book (as one of my sources) for my research paper on the Great Siege of Malta of 1565.I will agree that this particular book is not the greatest reading in the world, but generally historians write books for historians. Also, I will agree with other reviewers that the book's title is misleading because it does not focus on the 16th century compared to others.The book was used in my research to help explain the rivilary between Charles V of Spain (the Holy Roman Emperor) and Francis I (King of France).The cause of the rivals were not because of the grudge with Charles V winning the election for the Holy Roman Emperor or Francis I imprisonment in 1525, but Francis saw the danger of the Habsburg Empire surrounding France. I will recommend this book for people needing information on the Habsburgs for research and to get it at your library or buy an used copy. First published in 1941, The Habsburg Monarchy has become indispensable to students of nineteenth-century European history. Not only a chronological report of actions and changes, Taylor's work is a provocative exploration into the historical process of the most eventful hundred years of the Habsburg monarchy. The book covers mainly the endgame, the last century of the Habsburg Dynasty, therulers of the Austrian and Hungarian double monarchy. As a look at a map of the time will show us, even the name of that monarchy is phony. The entity was `a collection of provinces accidentally ruled by the same prince'. It was a European superpower at its time and any confusion with the current respectable but modest countries Austria and Hungary would be going in the wrong direction. It was a part of an instable balance of powers: the Turks, Russians, French, and in the last phase the Prussians were all competing for overlapping areas of influence. The period starts with the end of the Holy Roman Empire of the German Nation, which was smashed into pieces by Napoleon's France. This `holy' empire had a Habsburg at its top, as Kaiser, for most of its time. When it ended, a new German Confederation was started, without a comparable nominal head, and with Austria and Prussia as twin leaders. The struggle between the two was won by Prussia, who established a new German Empire, leaving the Habsburgs to their now `Austrian Hungarian' empire. 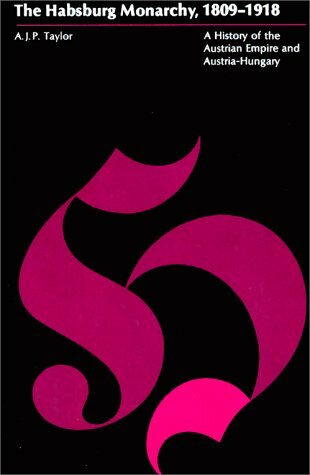 The main theme of the book is the struggle of this supranational structure against the growing phenomenon of the `nation'. The ghost of nationalism had been awakened by Napoleon's raids across the continent. This had to come to a clash with the Habsburgs: `In other countries, dynasties are episodes in the history of the people; in the Habsburg Empire peoples are a complication in the history of the dynasty'. It could have been such an interesting book. Alas, it is not quite so interesting. It is useless as an introduction or summary to the subject due to the author's habit of not telling or explaining, but assuming things to be known and referencing them like in a discussion of their meaning, with peers who share the same information level. I remember quite a few `history books' written in that method. AJPT clearly had no didactic intentions with this book (despite his quaint suggestions for pronunciation of Hungarian or Czech name). The book is organizing its vast material by chronological chapters, which is a recipe for confusion. It might have worked better if it had been organized according to subject matters. It focuses heavily on individual leaders, like Metternich, without really giving them a profile. It treats a huge issue like the earthshaking 1848 revolution, which caused a level of chaos that had not yet been solved a hundred years later, at the time when the book was written, without going into the causes that started it. The book is far too short for its subject, or, from the other angle, much too stuffed with facts, without the clear line of thought. Did Taylor try to prove something? It seems so. He starts on the first text page with his basic philosophy: the defeat of the supranational structure against the rising forces of nationalism was `inevitable'. He declares that all thoughts about missed opportunities to avoid the destruction are `liberal illusions'. Now, it may very well be that the Habsburgs were a lost cause, that they stood no chance to keep up their rule against the trends of time. But is that the same as `inevitability'? From what I know of Taylor's writings about the Nazis (I have not read his other books, but have read about him), he also uses this `inevitability' concept for the Nazi take over from Weimar's defeat. I object strongly against the thought that any historical development is `inevitable'. Of course, once it has happened, it can't be avoided any more. We may be into hindsight reasoning here. Historical inevitability is a foundation stone of Hegelianism and its offspring, Marxism. Taylor seems to represent the rightwing shoot of that school. The idea that laws of history dominate the development of the world is in essence totalitarian and anti-political. Apart from this basic displeasure of mine, I find the book sometimes boring in its casual way of amassing facts, sometimes thrilling, when it comes up with sometimes brilliant sentences that encapsulate real insights. I am easily annoyed by small things. Take this trifle: in German, a Kreis can be two things, it can be a circle, and it can be a district, in the sense of a subdivision of a province. In the Habsburg Empire, the Kreishauptmann was a key administration official (if I am not mistaken, the main Trotta character in Roth's Radetzkymarsch is a Kreishauptmann), translated as a district governor or president. (If you ask Google's translation tool, it gives you `governor'.) Taylor translates it as Captain of the Circle. That is either a howler which somehow puts the man's understanding of his subject in doubt, or it is a very deep insight into historical developments, in the sense that the political division `Kreis' is derived from ancient concepts of dividing an area into circles under sub-leaders. I suspect the former. Well, in fact, they didn't, though they were enormously successful in their evolutionary adaptations for more millions of years than primates can claim. If 'anyone' ruled the biosphere in the Jurassic or Cretaceous eras, it was bacteria. They came before, they will persist after; we vertebrates need them but they don't need us, we're just a hypertrophied transportation system for them. Bacteria, broadly defined including the archaeans, outweigh all animals, funghi, and plants combined in the biomass; bacteria determine the 'history' of Life. So what does this have to do with the Habsburg Monarchy? I have an earnest analogy in mind. Empires, dynasties, dictators, long and short parliaments and congresses may metaphorically 'rule the world' - especially as seen from the top - but they are merely delivery systems for "us", the menu peuple, the plain grubby human bacteria of societies. History is made from the soil up. If ever an empire might be compared to a dinosaur, nevertheless, it was Kakania (the kaiserlich und königlich Austria-Hungary of the Habsburgs). Like the dinosaurs, the Habsburg Dynasty can hardly be called an evolutionary failure. Yes, it eventually perished, but it thrived for a very long time and 'governed' a larger portion of the planet than any other critter ever. However, the dinosaur I'm really thinking of, in this review, isn't the Austrian Empire after all. It's this book, and the author of this book, A.J.P. Taylor, the Tyrannosaurus rex of Middle European historiography of his era. "The Habsburg Monarchy, 1809-1918" was first published in 1941, and revised in 1947. It's an old book, in short, a classic in the field, scarcely a discovery, and that's the basis for my 5-star rating. Anything else would be silly. But Taylor's kind of historiography is extinct, as extinct as the stegosaurus. Reading such a book today gives us much more insight into what people what "history" was, a few generations ago, than into anything we hope to understand about history now. Taylor's history is totally "top down", entirely focused on fifty or a hundred prominent men who held governmental powers in the Habsburg lands from the Napoleonic Wars to WW1. As such, it's extremely abstract, bloodless, ideological - a kind of 'trickle down' historiography as unreal as Reaganomics. Great Beasts don't make Life; Life makes Great Beasts. 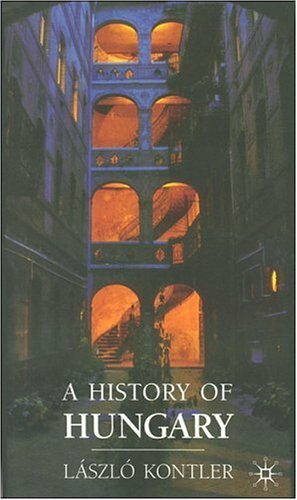 For anyone trained in 'history' at any university since the 1950s, this kind of book is a fossil, an artifact of an extinct philosophy of human events, and it provides no useful insights into Middle European history whatsoever. The previous reviewer who called it 'unreadable' was naively correct; it makes no sense because it doesn't look for what we today consider the sense of things. You could memorize every name and date in it, and still not have any sense of how such happenings happened. So why read it all? Well, I certainly wouldn't recommend it to anyone as an "introduction" to Middle European history. Only someone with a broad knowledge of 19th C political history could possibly deal with it. Any specialist in German or Austrian history, any professor that is, will already know of Taylor and will probably have encountered the need to support or refute his interpretations. As I said above, the prime value of this text is not as a source about Austria-Hungary but as a source about the "history of historiography". Me, I took it on because of my current fascination with the literature that grew from the soil of Kakania - the writings of Joseph Roth, Robert Musil, Franz Kafka, Bohumil Hrabal, and half a dozen others, any of whom can be considered more 'living' historians than Taylor. Really, this book for me is a gigantic, cumbersome footnote. A.J.P. Taylor first had this book (THE HAPSBURG MONARCH:1809-1918)publsihed in 1948 whichHarper and Row republished in 1965. This book is a solid summary of the gradual disintegration of the Hapsburg Monarchy and Empire. Taylor clearly and effectively diagnosed the political and diplomatic problems that undermined the Hapsburgs by the end of World War I. The early sections of the this book dealt with the problems the Hapsburgs faced from the 16th. to the early 19th. century. The problems of the Reformation and Counter Reformation plus the serious Turkish invasions were concisely treated and gave readers a clear historical understanding the problems the Hapsburghs faced prior to the French Revolution and the rise and fall of the Napoleanic Empire. Taylor then introduced readers the problems the Hapsburgs faced when their armies were decisively defeated by Napoleon's armies in 1806 and 1809. These defeats showed signs of political ineptness and weakness. The "subject nationalities" were not slow to recognize these weaknesses. Taylor made clear the reason why Metternich (1773-1859)was the guiding force at the Congress of Vienna( 1814-1815). Metternich knew very well that if the subject nationalities such as the Czechs, Polish, Reuthenians (Little Russians),Serbs, Italians, etc. ever got political independence, that would be the end of the Hapsburg Empire. The Hapsburgs had to do a politcal balancing act both within their empire and with the Russians, Prussians (Nothern Germans), and some of the Italian rulers. The Quadruple Alliance worked tolerably well. However when the Hapsburg Emperor Francis died in 1835, he was replaced by Ferdinand (1835-1848)who was lazy and incompetent. Taylor made clear that Ferdinand was NOT the one to keep the Empire intact. To do so required someone who was intelligent and politically astute, and even with the most skilled political and diplomatic political figures this was difficult at best. Ferdinand's incompetence was in part the reason for the 1848 revolutions which erupted throughout Europe and especially in the Hapsburg Empire. Franz Joseph (1848-1916) replaced Ferdinand and used the Hapsburg armies to crush rebellions in Austria, Italy, etc. The one area that the Hapsburg troops could not subdue was Hungary where the Magyars led by Louis Kossouth (1802-1894)were not crushed until Russian troops under Czar Nicholus II (1825-1855 intervened. Taylor stated the reason for Hungarian military successes was the fact that the Hungarian army was bascially a Hapsburg army. As Taylor stated, Franz Joseph and Hapsburg aristocrats knew that changes were needed such as eliminating the Robot or forced labor imposed on workers and peasants. Both the German and Magyar aristocrats knew very well that their future was with the Emperor rather than national loyalty. Another interesting event was the Crimean War (1854-1855)whereby the Russians expected Hapsburg help but were threatened by Hapsburg troops. The Hapsburgs figured that the Russians were a threat since they would champion Slavic nationalism within the Hapsburg Empire. The next major crisis for the Hapsburgs was the Seven Weeks War (1866) when the Prussian German troops shocked the Hapsburgs and forced the Hapsburgs to sign the Treaty of Prague which effectively ended Hapsburgs' control in what is today Germany. The Hapsburgs also lost most of their lands and political control in Italy and had to "retrench." The Hapsburgs approved the National School Act in 1867 whereby students age 6-12 years could be taught in their native language. There was also a sham Diet or Parliament which gave the appearance political representation. This system worked tolerably well and was very effeective from 1879-1893. However, the Young Czech Movement and other natioalties made any work in the Diet almost impossible thereafter. Franz Joseph had to rule mostly by edcit from 1983 to 1914. Taylor noted that the Hapsburgs got breathing space in 1908 when they got control of Bosnia which prevented a South Slavic State (Yugoslavia). One of the problems that Taylor noted that most appointments re business, university teaching, etc. was state approved which led to nationality resentment that the "wrong" people were chosen. Taylor made a good point when he argued that dynastic loyalty and clericalism were not enough to insure loyalty. Nationalism and the masses were what counted which the Hapsburgs feared as did the aristocrats. The days of the old loyalties were over. World War I ended the Hapsburg Empire. Taylor had a good quote on page 232 when he wrote, "War can only accelerate: it makes a dictatorial state more dictatorial, a democratic state more democratic, an industrial state more industrial, and-as with Austrial-Hungary-a rotten state more rotten." The "allies" of World War I had little interest in what was left of the Hapsburg Empire. No reform or economic aid were used. As Taylor noted, the "allies" were more interested in stemming Bolshevism that promote sensible nationalism. The power vaccum left after the disintegration of the Hapsburg Empire was an inviting target for the resurgent Germans and Soviets. The undersigned's only criticism of Taylor's book is that he could have more carefully investigated the actual causes and events of the assassination of the Arch Duke Ferdinand on June 28, 1914 which precipated World War I. However, Taylor wrote an informative book that is concise and clearly written. Readers will be impressed with Taylor's thorough research, concise written expression, and wry sense of humor. You don't want to miss Lagavulin, but you don't want it to be all you drink, either. Edward Crankshaw's book on "The Fall of the House of Habsburg," while ostensibly starting in 1848, is a good suggestion for the "first" book called for by so many reviews.Crankshaw, an intelligent old-school conservative, appears to have written his book in part as a retort to Taylor (judging by his comments in the text).Very readable, though without Taylor's wit. 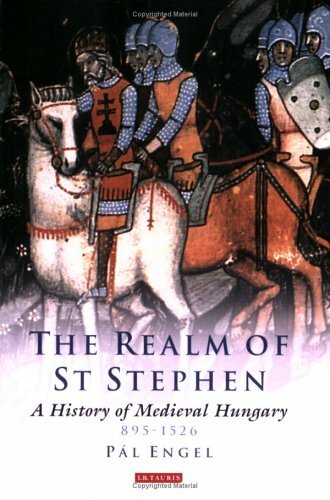 Now recognized as the standard work on the subject, Realm of St Stephen is a comprehensive history of medieval Eastern and Central Europe. 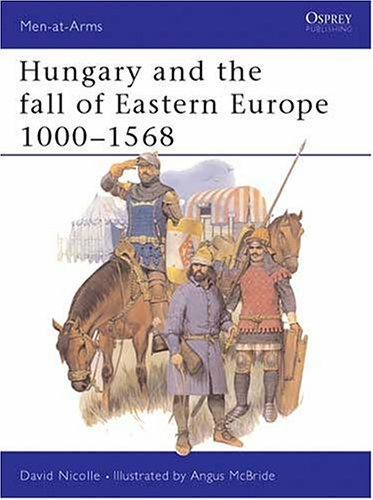 Pál Engel traces the establishment of the medieval kingdom of Hungary from its conquest by the Magyar tribes in 895 until defeat by the Ottomans at the battle of Mohacs in 1526. He shows the development of the dominant Magyars who, upon inheriting an almost empty land, absorbed the remaining Slavic peoples into their culture after the original communities had largely disappeared. 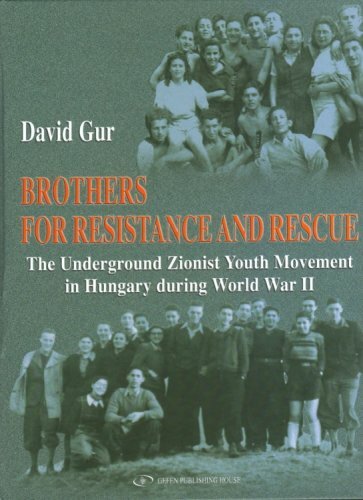 Engel's book is an accessible and highly readable history. 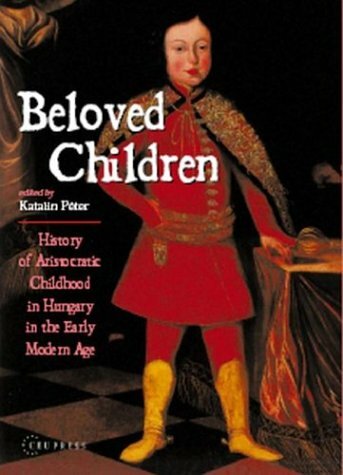 This is my favorite kind of history, filled with personal memories and evaluations.The author shares a period of history that I remember only with a child's understanding so it enriches my insight into my own life experiences as well as hers.I recall the coverage and fall-out of the Hungarian uprising of 1956 but this book gives it a context and significance that I didn't have.It is both a touching and enlightening read.The cruelty of those terrible years is painful, and also a statement of what we must consciously remember.The opportunities taken and a life rebuilt give us all cause for hope.How wonderful to be "an American who speaks four languages, all with an accent." I have read a great many Holocaust books over the years. Other than Ann Frank's diary, I have never read one which captures the point of view of a child. 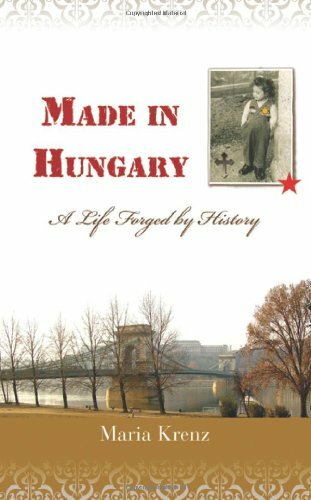 Maria Krenz remembers her life in Hungary with such authentic detail that I feel I have traveled back there with her. This book would be excellent for middle school children who want to hear a story of courage told with genuine feelingas viewed through the eyes of a hidden child. I think this book should be read by every American, to gain a better understanding of what it meant to survive World War II in a part of the world that was not as visible nor as well documented as the major powers.It's a beautifully written family story that is hard to put down.It's a must read. Don't start this if you have something to do in a few minutes! Don't start this book if you have something else to do in a few minutes.That's what I did.I brought the book home and figured I'd read a little before my exercise class.But I missed that class, and sat entranced for the next couple of hours while I read about young Maria's first year of life, with bombs dropping around her and her mother shielding her young body with her own.It's the stuff of fiction, yet it is, horrifyingly, true. But the book is far more than a litany of terrible things that happened to Maria in her years in Hungary.It is a beautifully woven whole cloth composed of the warp of historical events and the weft of her own experiences and feelings.Growing up in a country beset by war, hunger, and different forms of Communism wasn't easy, but the story is bigger than that.I loved learning about historical events that, in truth, I hadn't even wondered about before.The author did an amazing job balancing all of the pieces in this book; above all, it is infused with courage, honesty, and a love of her birth country. Made in Hungary is an incredible memoir of one child's survival of the holocaust in Hungary.She tells the story, beginning with her birth during a bombing raid, using records kept by her mother and other family members.She describes the "worst years" of communist rule.Though her parents were originally from wealthy families, the fact that she was born Jewish was the awful secret that the author had to keep at any cost. The frequent times when hopes were raised, then dashed amid the ongoing depravation,cruelty and killing are hard to read, but give an amazing picture of what this child survived. The killing of freedom fighters by hanging made Maria "hate being alive. "She exhibits incredible courage for a young child, running through gunfire at times. Erika Szivos places the fine arts and their practitioners in the political, cultural, and social context of the Austro-Hungarian monarchy. She investigates the influence of European patterns on the public role of the arts and the changing status of the artist in fin-de-siècle Hungary. The emergence of central Europe and the Balkans as a major area of interest and international concern in post-Cold War Europe have given the fall of the Habsburg Empire and the consequences of that fall considerable contemporary resonance. The Empire was an experiment in multi-national politics, and how different ethnic and religious groups live or do not live together is very much what this book is about.